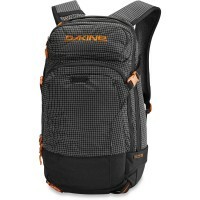 Dakine Heli Pro 20L backpack is your perfect companion in any situation! spacious main compartment You can find clothes, notebooks, books, valuables and all your belongings stowed. For university or work the large main compartment has a Laptoptopfach for notebooks up to 15 inches and Organizer Bag on the front. Be perfectly equipped with the Dakine Heli Pro 20L - whether for school and leisure, or for your next alpine holidays Because depending on whether you skiers! or snowboarders are - you can snowboard vertically fasten your ski diagonally or at Heli Pro Pack. 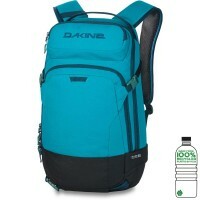 Your Goggles you store fleece-lined Google Sales of Dakine Heli Pro 20L ski / snowboard backpack so they do not scratch. Also you can in the Dakine Heli Pro Ski / Snowboard backpack introduce practical hydration to go your body gets the necessary hydration. 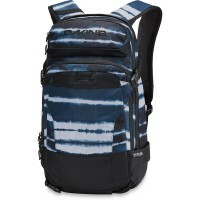 For extra security freeriding, backcountry and deep snow rides Impact back protector is the Dakine Heli Pro 20L ski / snowboard backpack with the DK compatible. also for emergencies you find a integrated rescue whistle on chest strap. Diagonal Carry for your skis. With fleece padded pocket for your goggles. For easy transport of your snowboard. 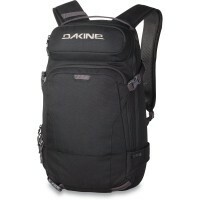 Customer evaluation for "Dakine Heli Pro 20L Ski- / Snowboard Backpack Laurelwood"